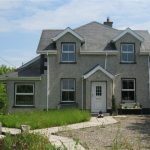 “Glenview”, Milehouse, Enniscorthy, is one of the best set out and located property in recent times to come to the market in Enniscorthy Town. The property which is on the edge of Enniscorthy town with all the towns facilities on your doorstep, but yet has a country feel. The residence which sits on C.0.4 of an acre is 2315 square feet in size. This should prove an ideal family property. 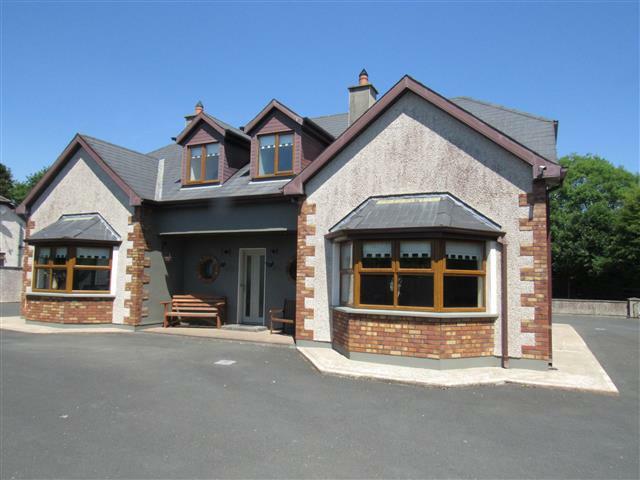 This five bedroom detached dormer style residence, which is very well positioned within reach of Enniscorthy Town Centre, is approached by a private driveway of 60 metres in length. 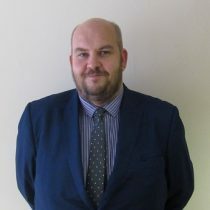 The property which has tarmac driveway all around the house, has electric gates, a nice size garden area, a large workshop/shed with a outside room which is currently set up as a hair salon. The residence which enjoys a spacious layout is built in the region of 15 years is very well presented throughout. 15`6“ x 17`5“ (4.8m x 5.3m) semi solid wooden floor, staircase to 1st floor, recess lighting. 15`1“ x 14` (4.6m x 4.2m) wooden floor, solid fuel stove, feature stone fireplace and chimney breast, double door to outside, re-cess ceiling lights, large bay window. 7`10“ x 6`6“ (2.15m x 2m) half tiled half wooden floor, fitted counter, plumbed for washing machine, back door.